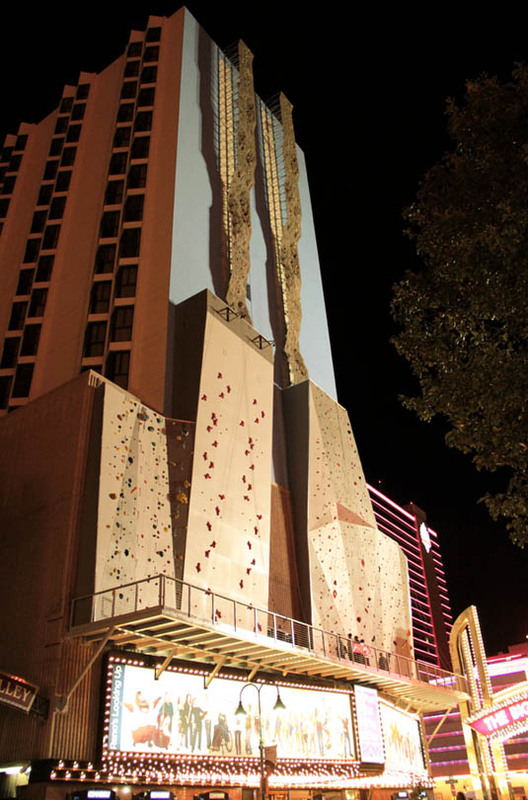 As part of an overall strategy to rebrand itself not as a city of gambling and slot machines—not another Las Vegas—but as more of a gateway to outdoor sports and adventure tourism—a kind of second Boulder or new Moab—Reno, Nevada, now houses the world's largest climbing wall, called BaseCamp, attached to the side of an old hotel. 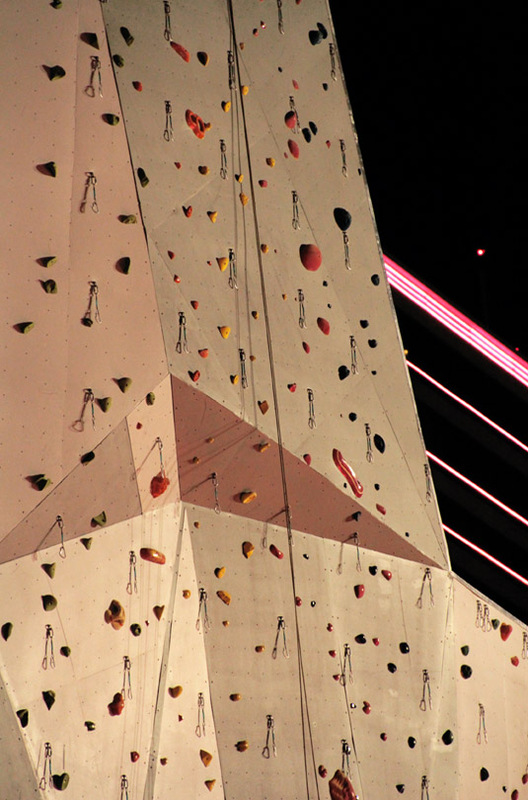 BaseCamp is "a 164-foot climbing wall, 40 feet taller than the previous world’s highest in the Netherlands," according to DPM Climbing. "The bouldering area will also be world-class with 2900 square feet of overhanging bouldering surface." One such cave, in particular, created for and donated to the British Caving Association, is currently being used "to promote caving at shows and events around the country. It is now housed in its own convenient trailer and is available for use by Member Clubs and organizations." [Image: The British Caving Association's artificial cave, designed by Entre Prises; photo by David Cooke]. These replicant geological forms are modular, easily assembled, and come in indoor and outdoor varieties. Indoor artificial caves, we read, "are usually made from polyester resin and glass fibre as spraying concrete indoors is often not very practicable. Indoor caves provide the experience of caving without some of the discomforts of natural or outdoor caves: the air temperature can be relatively easily controlled, in most cases specialist clothing is not required [and] the passage walls are not very thick so more cave passage can be designed to go into a small area." Further, maintaining the exclamation point from the original text: "The modular nature of the Speleo System makes it possible to create any cave type and can be modified in minutes by simply unbolting and rotating a section! This means you can have hundreds of possible caving challenges and configurations for the price of one." This brings to mind the work of Carsten Höller, implying a project someday in which the Turbine Hall in London's Tate Modern could be transformed into the world's largest artificial cave system, or perhaps even a future speleo-superpark in a place like Dubai, where literally acres of tunnels sprawl across the landscape, inside and outside, aboveground and below ground, in unpredictably claustrophobic rearrangeable prefab whorls. The "outdoor" varieties, meanwhile, are actually able "to be buried within a hillside"; however, they "must be able to withstand the bearing pressure of any overlying material, eg. soil or snow. This is usually addressed by making the caving structures in sprayed concrete that has been specifically engineered to withstand the loads. Alternatively the cave passages can be constructed in polyester resin and glass fibre but then they have to be within a structural 'box' if soil pressure is to be applied." In any case, here are some of the cave modules offered by Entre Prises, a kind of cave catalog called the Speleo System—though it's worth noting, as well, that "To add interest within passages and chambers, cave paintings and fossils can be added. 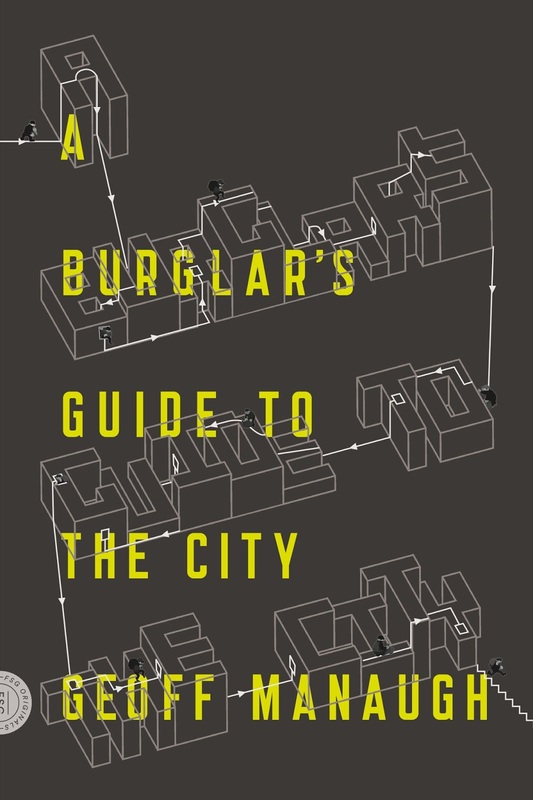 This allows for user interest to be maintained, creating an educational experience." 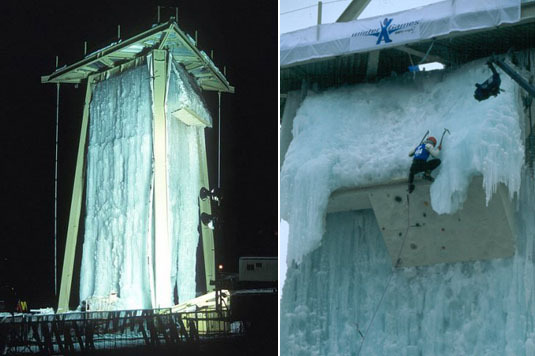 These "artificial ice climbing structures... support natural ice where the air temperature is below freezing point." 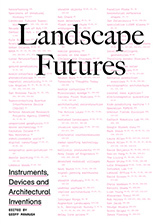 However, "permanent indoor structures," given "a temperature controlled environment," can also be created. These are described as "self generating real ice structures that utilize a liquid nitrogen refrigeration system." 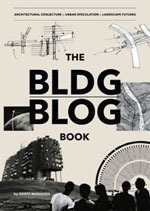 As such, it would be fascinating to see Entre Prises lead a one-off design studio somewhere, making artificial caves a respectable design typology for students to admit they're interested in, while simultaneously pushing sports designers to see their work in more architectural terms and prodding architects to see niche athletes as something of an overlooked future clientele. Great post. I should fashion my young one's indoor tunnel into a cave with cushions and other impediments. I hope Reno's wall and the Speleo cave system don't deter folks from trying the real things. Amazing. 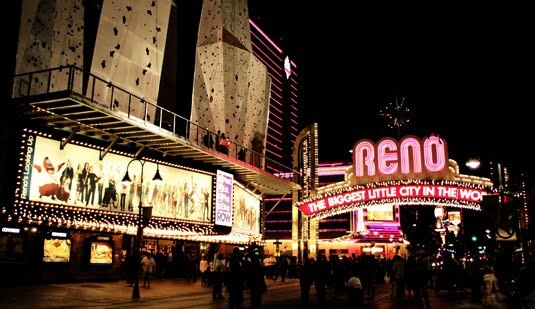 Reno really has a lot going for it. Glad to see this happening there. More than just slot machines and arches, no?